The second session on the first day of the 34th Kagyu Mönlam started with the Mandala Offering with 37 Features, for which a long line of lay practitioners formed up, their white clothing, accented by the five-coloured silks of the offerings they were bringing. 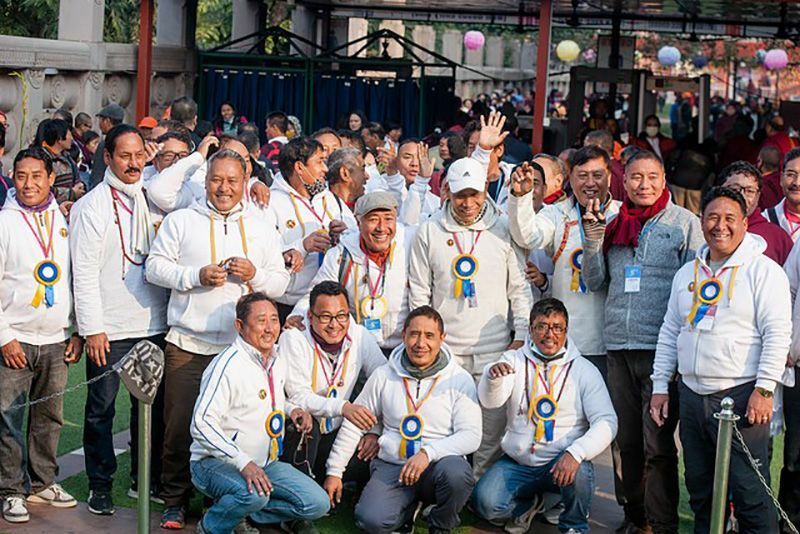 Slowly, they filed past the Gyalwang Karmapa’s throne as the recitation of the Supplication to the Lineage of the Bodhisattva Vow followed the Mandala Offering, and returned to their seats, beaming with joy as they held on to the red ribbons they had received from His Holiness. The Karmapa then resumed his teaching on the Long Soliloquy from the Great Kadampa Master Potowa, at the point where he had left off last year. These days, many people do not reach even that. In order to fear the suffering of the lower realms one has to remember them, otherwise one does not turn one's mind from this life. A deep belief in the karmic law of cause and effect is also needed, the Karmapa added, an understanding of how one's actions condition rebirth in the lower realms. That is failing to understand that refuge and bodhichitta are the root of the entire Dharma, so it is an extremely grave fault. I have found qualities in every word spoken by those from whom I have received Dharma. The only thought that has occurred to me is that I could never buy it for money. Speaking of 'only refuge and bodhichitta', the Karmapa reiterated, is an extremely frightful and pitiable thing to say; it's tantamount to presenting refuge and bodhichitta as though they were not Dharma. The Karmapa pursued the analysis of the relationship between student and guru with the example of people who request Dharma teachings from a master but also request that the master not tell anyone else about their receiving the teachings. 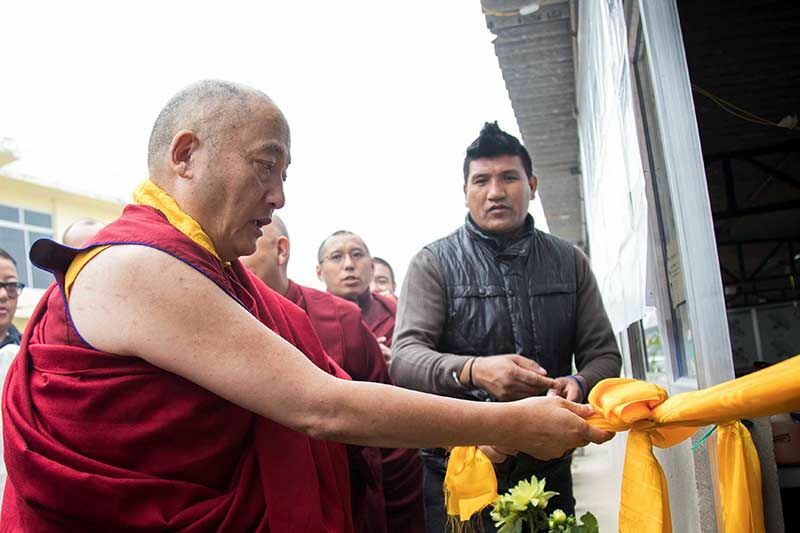 In a time of degeneration, the Karmapa said, this is a sign of a difficult connection between student and guru, worthy of compassion and pity. If we practice Dharma as it is taught, the most important thing is the guru, the spiritual master. For example, when looking for a bride, one first examines her parents, her background, to find out who she is. Or when buying a horse, one examines its mouth, teeth, back and front. So much more, then, with the guru, whom we trust to be a protector, a guardian, a head of family, not just for this life but for every life until enlightenment. The guru is so extremely important that we have to thoroughly examine whether they are truly a great being, having all the qualifications, and only then ask them to be our spiritual master. “But we don't do that these days,” the Karmapa countered. 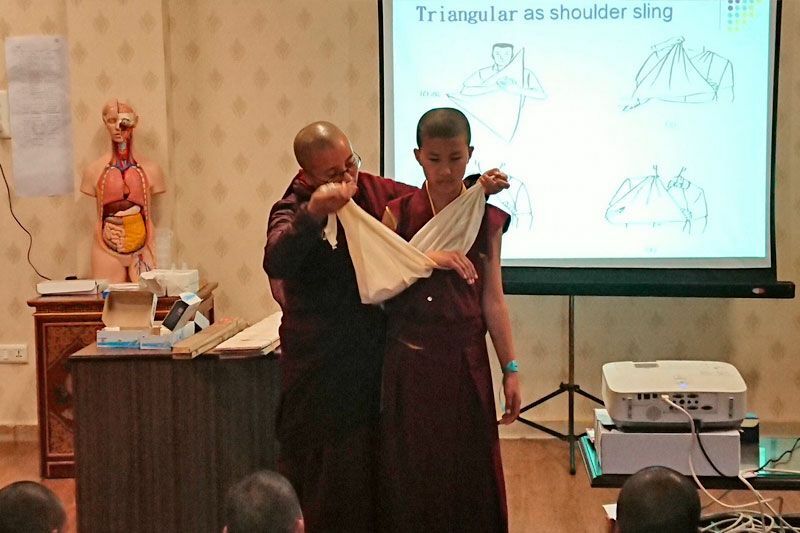 We find a Lama who is 'high-profile', whom everyone can see, and nowadays some of these are deceiving their students. This is a fault in the guru, of course, but also a fault in the student, in that they have defective faith. 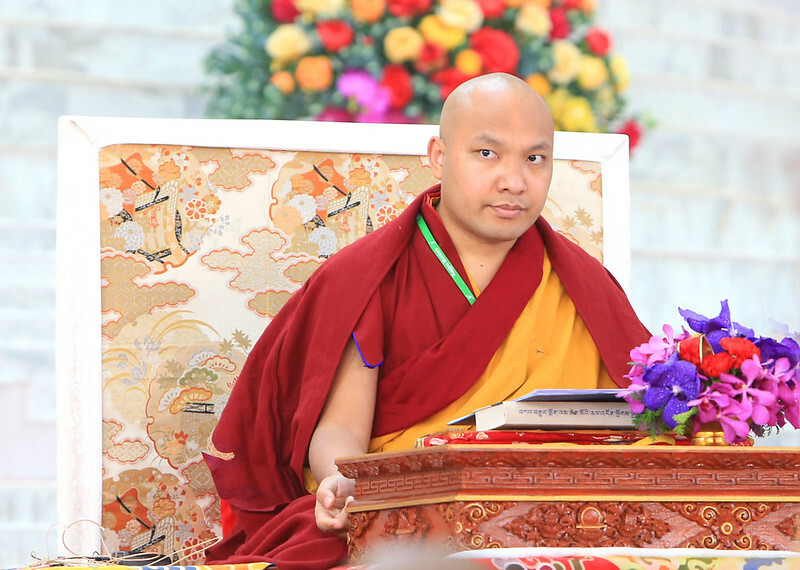 The Karmapa stressed that we should not have blind faith: If we examine the qualities of the guru in body, speech and mind and have confidence in them, we develop faith that no-one else will be able to block or stop. Until then, if we say that we are doing meditation on devotion or on the guru, we are making a false claim. But the Karmapa also acknowledged that although we seek a great being, it's hard to find someone with such compassion. If we want to accomplish the guru we need to offer to the guru, do puja to the guru. The word 'puja' means to please, and what pleases the guru is the practice of the three vows and of the three trainings. In the Secret Mantra tradition, this includes imagining the guru as the principal deity. But the Karmapa also cautioned that these days, things are being fabricated, such as new mantras like Om Vajra Guru [name of guru] Ah Hung". According to the Karmapa, this is the sign of a really bad guru. What a guru really should be teaching is the practice of the three vows and three trainings, practices for the students to tame their mind. A guru who would teach only visualising the guru as a deity and not direct the students to train their minds would be an impostor. 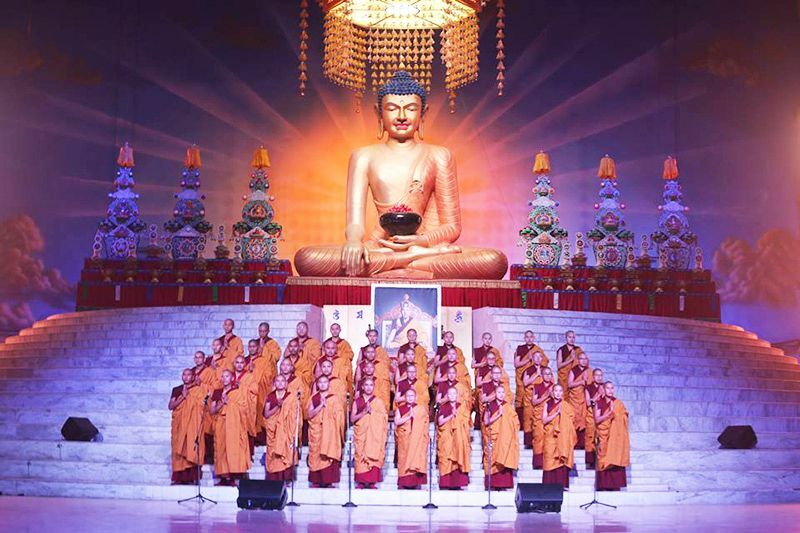 The Karmapa concluded the first day's teaching by reminding practitioners that, as Master Potowa wrote, merely knowing Dharma does not help; to practice properly it does not suffice to recite words, we need to incorporate the Dharma in our beings, make the connection of the Dharma with our mind stream. 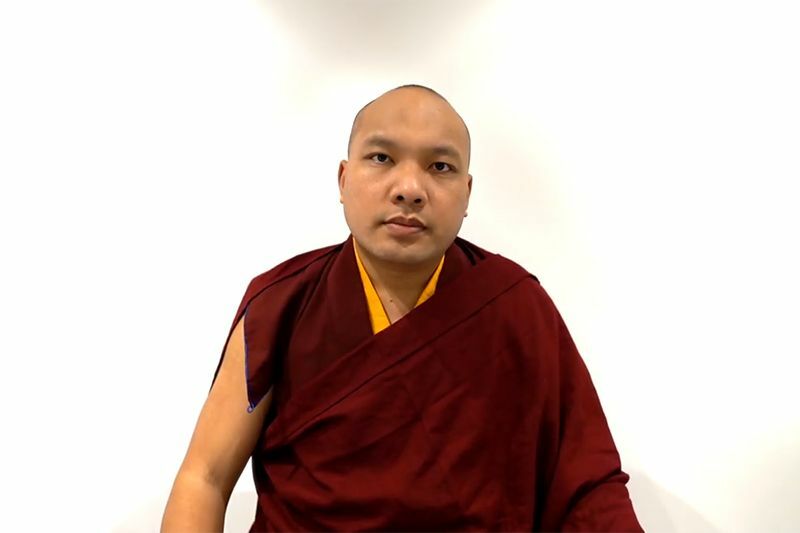 The Karmapa urged all participants, during the recitation of the aspiration and dedication prayers at the end of the session, to have strong faith in the Three Jewels and a strong wish for the aspirations to be realised, seeing those sponsors whose names are read out in the dedications for the living and the deceased as representatives on behalf of all sentient beings.